A knife block is a handy addition to any knife collection. What’s more, it is a safe and practical form of blade storage.  WMF offers a range of different knife blocks in various designs: made of wood, e.g. bamboo, oak or walnut, or of stainless steel or plastic. The classic knife blocks have slots for the most important knives in the kitchen, a sharpening steel and a pair of kitchen scissors. Magnetic models and blocks with a bristle insert are also available. Both models are flexible and can be used for any type of knife. WMF knife blocks are available either empty or complete with knives from the Grand Gourmet, Grand Class, Spitzenklasse Plus and Classic Line collections. Whichever one you choose, a knife block is the perfect way to protect your knives and make sure they are always at hand.